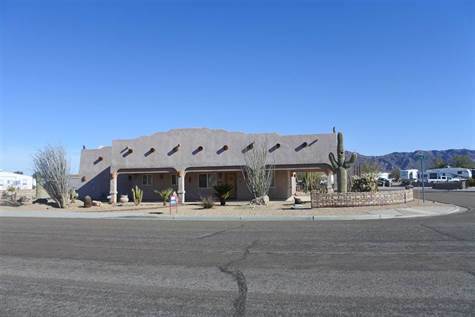 Amazing views, views, views on this huge corner lot close to the mountains in the Foothills! Over 18,000 sq ft lot with RV access on 2 sides of the property w/ hook-ups! Wrap around porch with awesome desert landscaping. 4 car garage for all your toys is a dream come true! 2 bdrm, 2 bath with tile flooring throughout, custom cabinets very southwest flare, fully furnished with everything you need! 2nd bdrm has a Murphy bed, lots of personality & price to sell fast! Looking for ultimate location, this is it!